It’s almost Summer! If you are like us, you can’t wait to get outside, enjoy the fresh air, and have fun! If you are a regular here, you know just how much we love science. 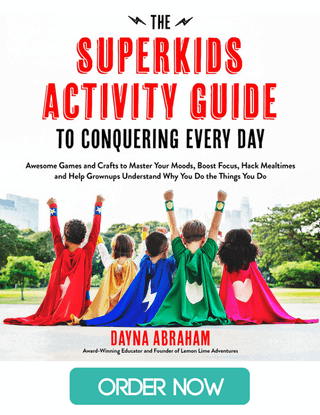 For us, summer is the perfect time to do some of the summer science activities for kids we have been putting on our to-do list all year. If you are looking for inexpensive, easy projects that are great for summertime, you have come to the right place! I can’t think of a better way to enjoy the summer, than with a nice cold science experiment. Here are just a few that we love and adore. They are simple and easy to set up. 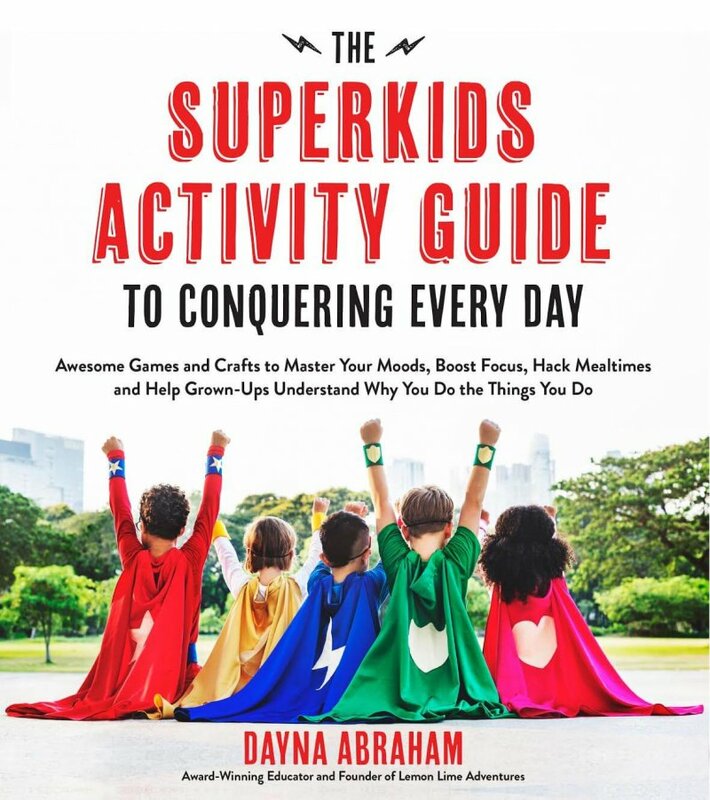 Best of all, your kids will want to do them OVER and OVER again. Lego Ice Excavation Science | Our lego-lovers are obsessed with incorporating their legos into their everyday acience activites. 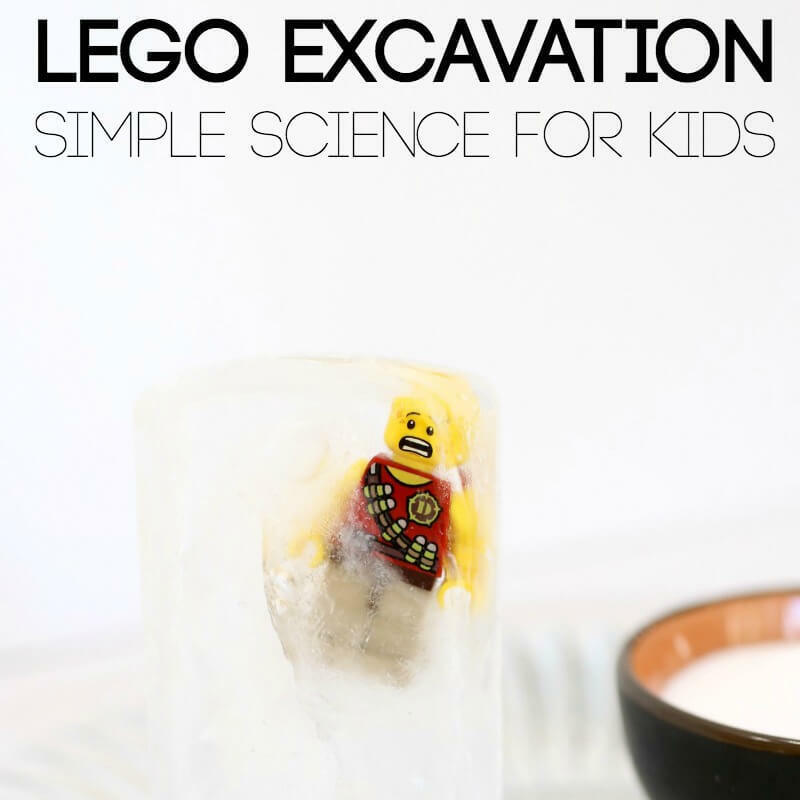 We had so much fun with this lego ice excavation science activty! 1. 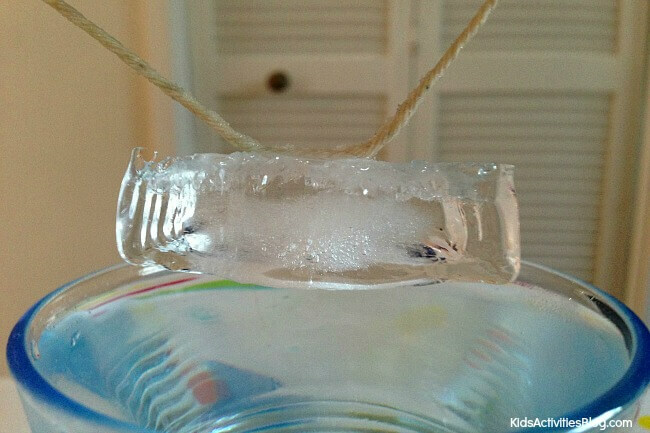 Sticky Ice| Turn a Piece of Ice into Glue using this simple and easy experiment using salt and ice. You can try this one today in your kitchen or wait for a warm day when you just want something fun to cool you off. 2. Icy Treasures | Ice Excavations with Lego, Rainbows, or Spacemen can be downright exciting for kids. 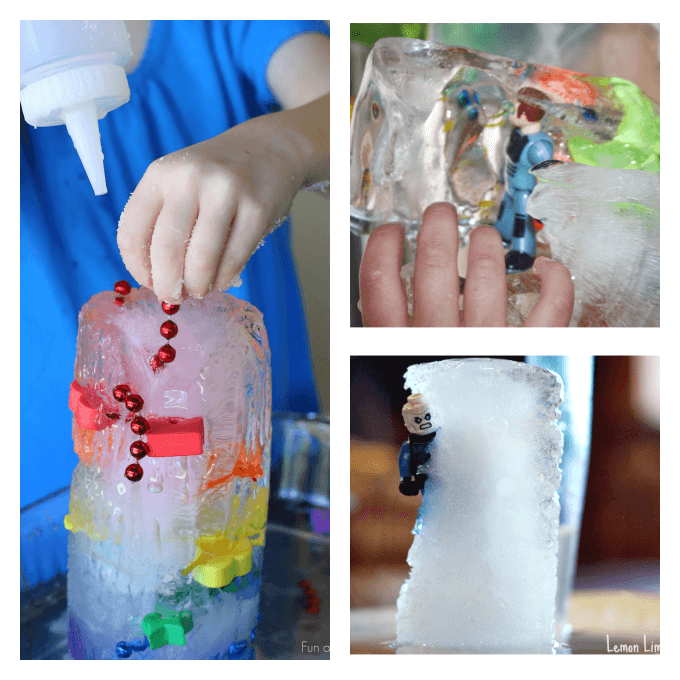 They can test a variety of materials to try to save their beloved toys that are stuck inside the ice. The variations are endless. 3. 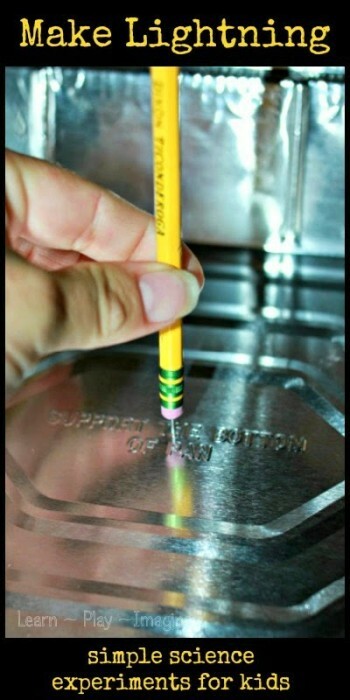 Fizzing Ice Cubes | Another simple kitchen science activity that your kids are sure to love. The colors and the tactile sensory fun are an added bonus. What kid doesn’t want to explode something, right? 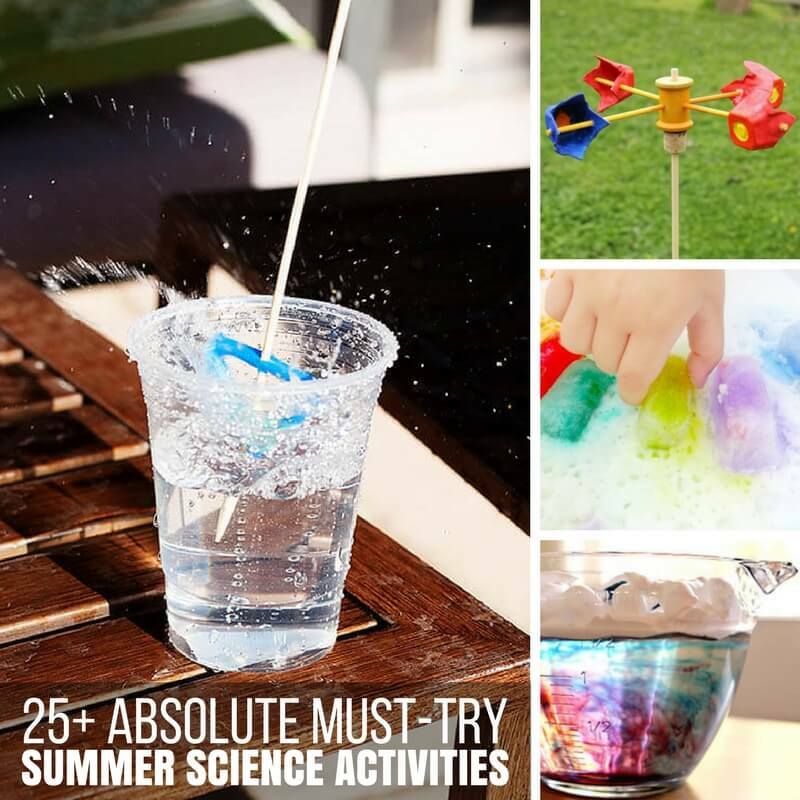 Summer is perfect for these messy science activities because you can get outside and bubble or fizz away. The bigger the better! 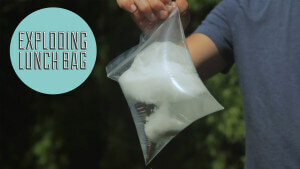 Exploding Lunch Bag | Learn about gas and expansion through this simple and fun activity. My kids have done this at their dad’s house and absolutely love it. I know we will be trying it here this summer too! 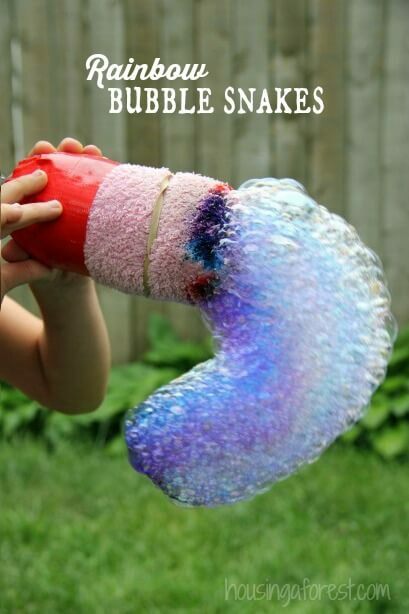 Rainbow Bubble Snakes | Who wouldn’t want to try this? I have seen this over and over and I just can’t wait to try it. I love how it will open the door for such great scientific conversations about bubbles. I can already imagine all the questions, can’t you? 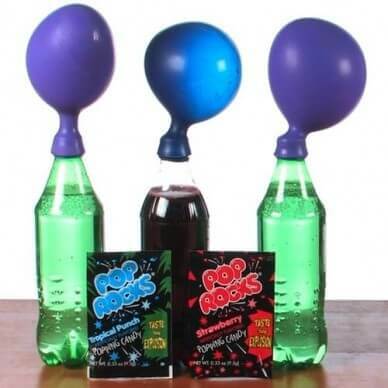 Pop Rocks | Try to blow up balloons with this classic candy. We have this and Mento science on our list for this summer. There is some fascination with seeing the explosive chemical reaction that kids just love! Lemon Suds | Okay, I might have put this in here just because its Lemon. No, that’s not it, I think it is a beautiful sudsy mess that would be perfect on the back porch on a warm summer day! What better time than summer to get outside and explore the world. Its a great time to take time to learn about the elements and the creatures that surround us. It is a great time to investigate things just a little further. 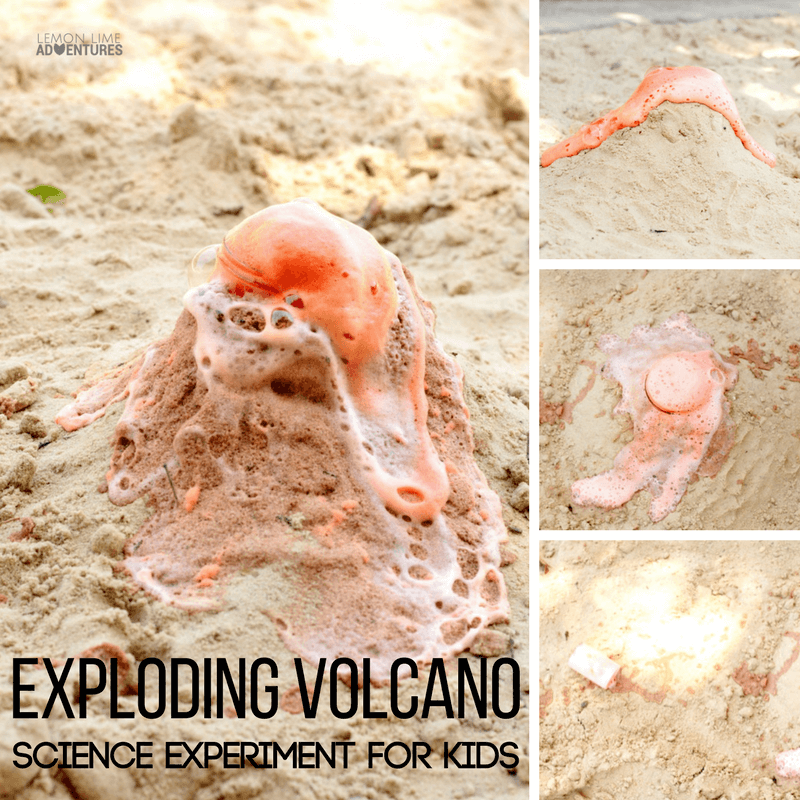 Exploding Volcano with a Twist | Everyone has tried the volcano exploding science experiment, but this one has a fun twist that makes it even more realistic! Study Rocks | If your kids are anything like mine, summer is a time for collections and bringing the outdoors inside. 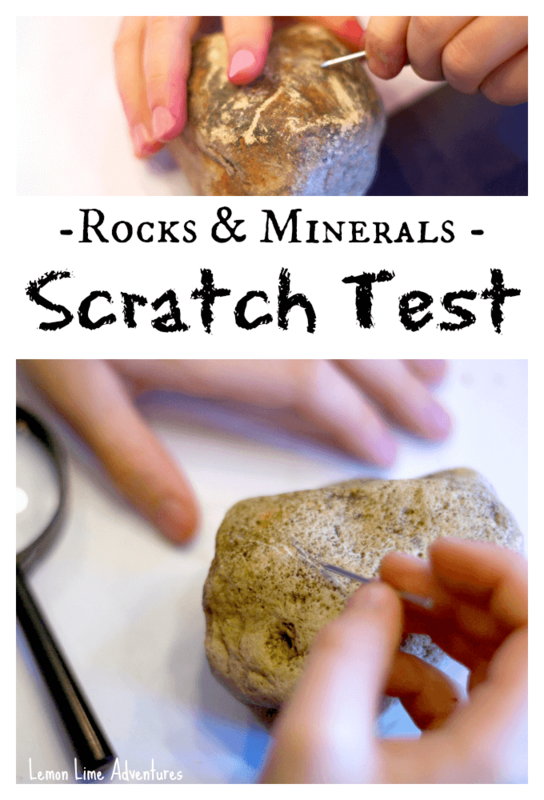 We loved collecting rocks and learning more about their hardness and their names through this science activity. 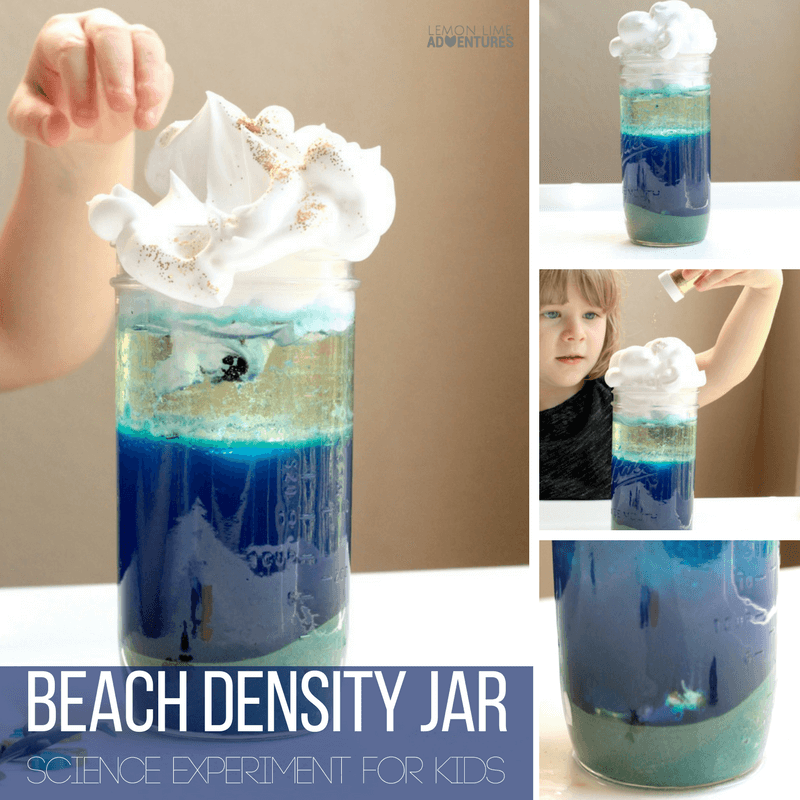 Beach Density Jar | We love this beach density jar science experiment. 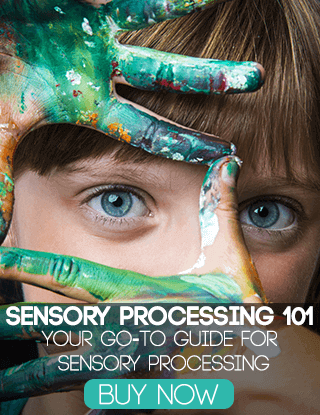 It’s such a fun blend of science and sensory fun! 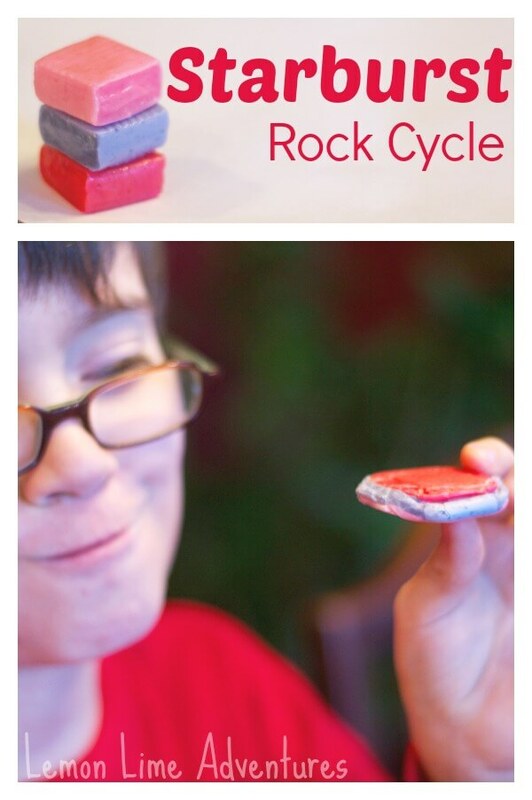 Edible Rock Cycle | After you learn about rocks, it can be really fun to learn some about the different kinds of rocks, how they are formed and the rock cycle. 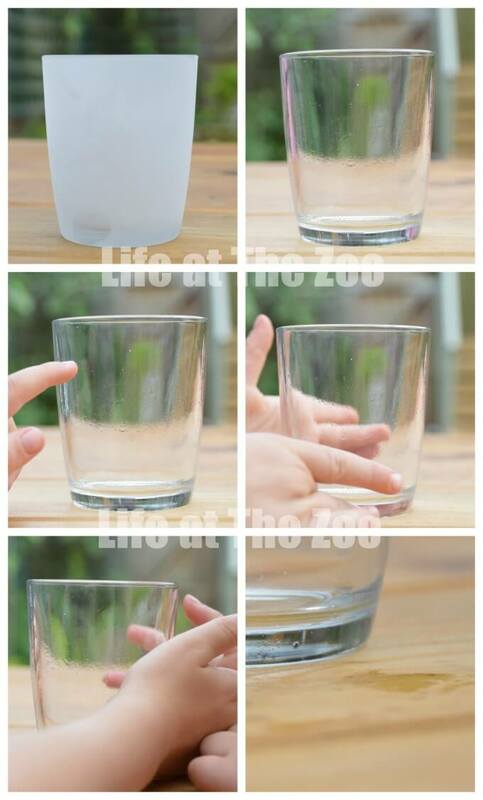 This is a great activity for those rainy days when you need something fun and scientific for the kids. Giant Worm Tower | We love worms. We have a compost bin in our backyard and had a worm bin in the basement, but there is nothing like being able to see them work on such a grand scale. We might just have to make this soon! Summer is a time of so many different weather experiences. Kids are naturally curious about the way weather works such as rainstorms, clouds, changing temperatures and more. 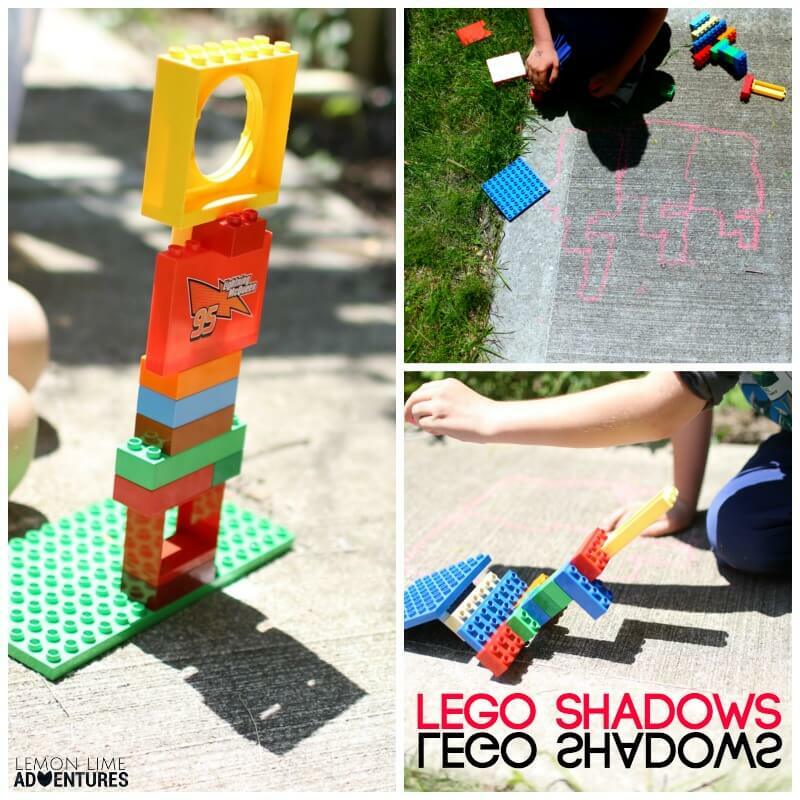 Lego Shadows | Take advantage of the summer sun with this super fun lego shadow activity! Build different lego towers and test out the shadows. Rain Clouds | We have still not made rain clouds and I can’t believe it. They are so beautiful and easy to make yet they explain so much. Just a little kitchen science to make the summer a little more fun. 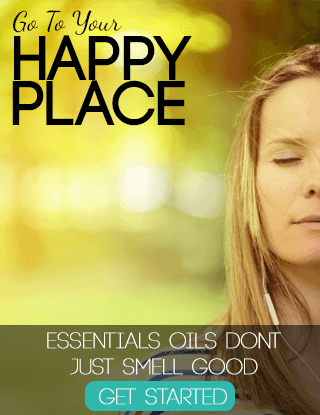 Try this outside on the deck or in the kitchen for a break from the sun. Make Lightning | Summer is a time that is filled with thunderstorms and lightning. If your kids are anything like mine, they are fascinated by the lightning and how it works. This simple demonstration is perfect for explaining the phenomenon to them. 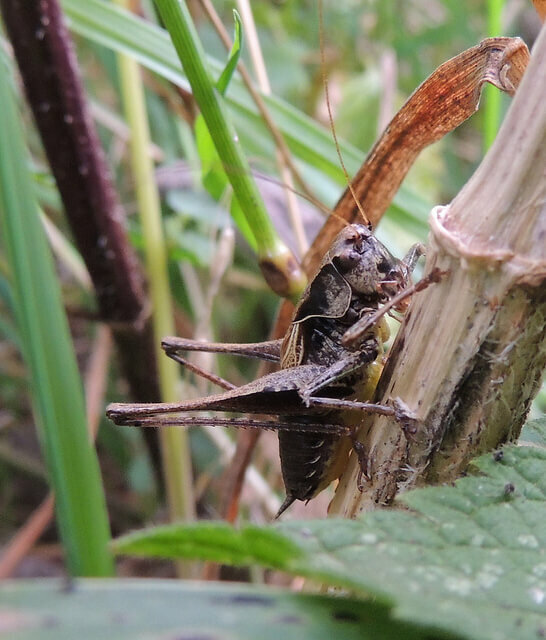 Cricket Thermometers | Did you know you can “read” the temperature with crickets. I didn’t, but I can’t wait to try now. This is such a simple activity to do on those summer nights when the sounds of summer are all around you. 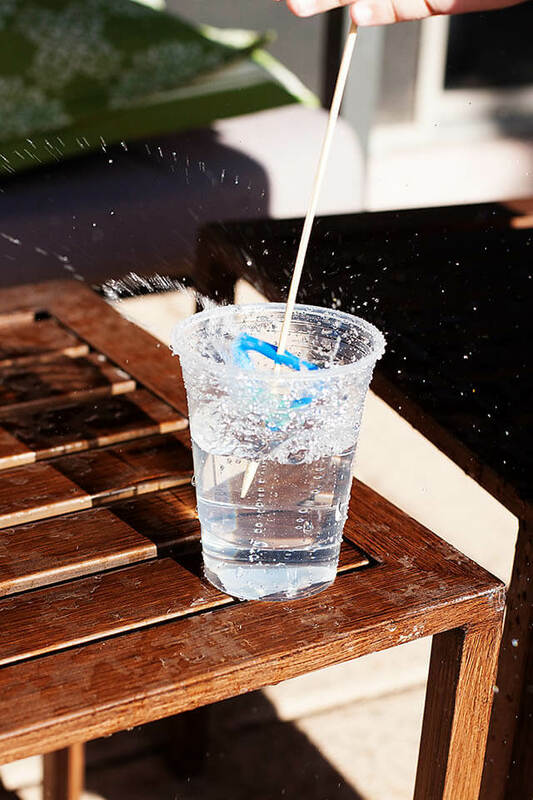 Pool Science | Learn about Condensation at the pool with this simple science activity. This would be great for those minute that seem to never end when kids are waiting to get back in the water after lunch. 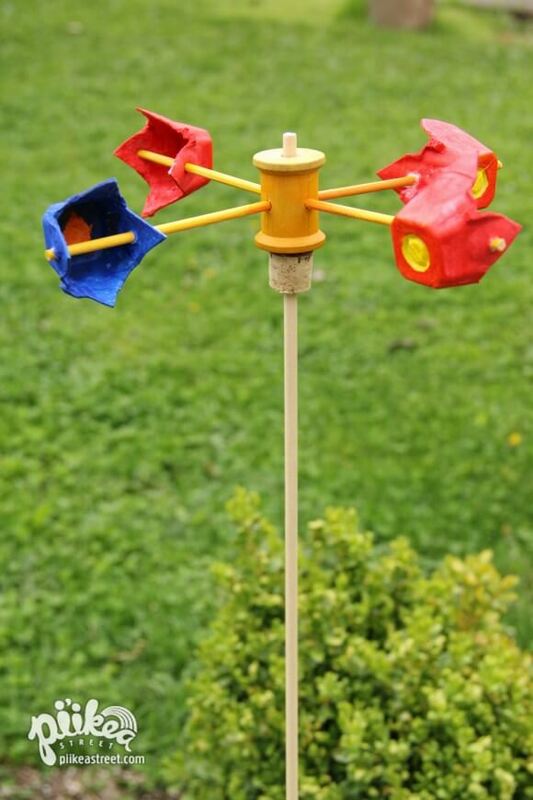 Wind Science | Build your own Anemometer to learn about wind. This is such a beautiful project that will carry your summer learning into fall. What a great activity for any kid who loves to build and create. 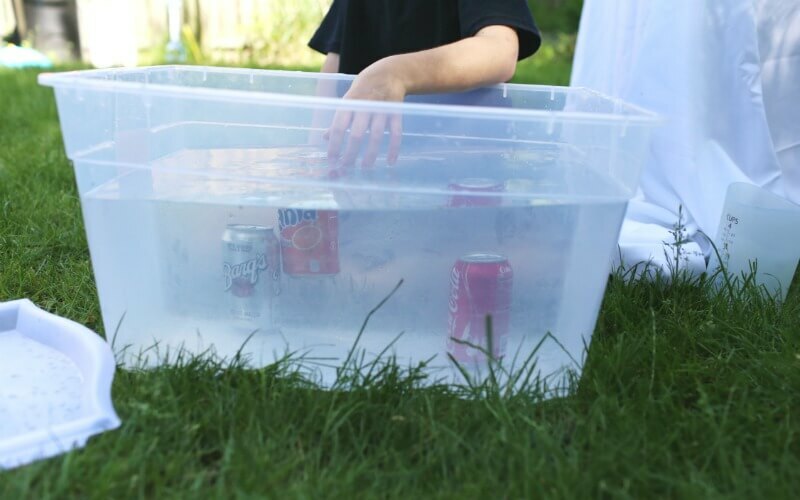 Sinking Soda Summer Science | Add some science to your next backyard barbecue with this super simple summer science project finding out if soda sinks! 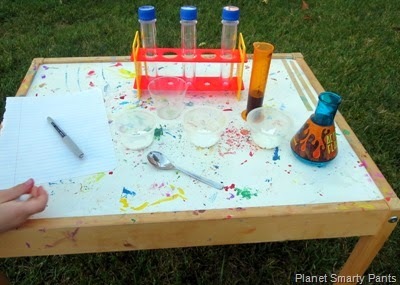 Outdoor Chemistry Lab | Create an Outdoor Chemistry Lab and test unknown materials and liquids. Just getting outside means you get to be messier and investigate those pesky unknown liquids with all your might. Get messy and enjoy the summer weather while becoming a budding chemist! 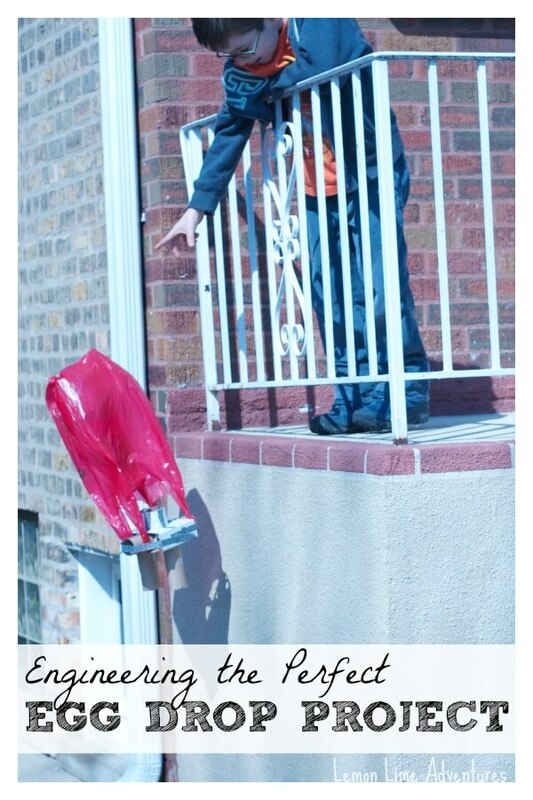 Summer Physics | Create and Engineer an egg drop project this summer. 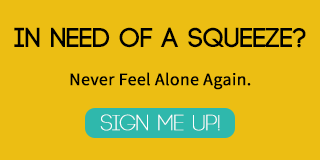 Test a variety of locations, conditions and contraptions. Summer is the perfect time for a project like this. We might even try this again, and do it into a pool. 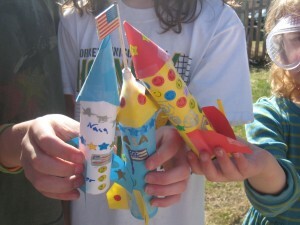 Film Canister Rockets | Engineer the coolest rockets using a simple technique. I know film canisters might be hard to come by. We are planning on trying this with Pringles cans or medicine containers. I think it will be a blast! 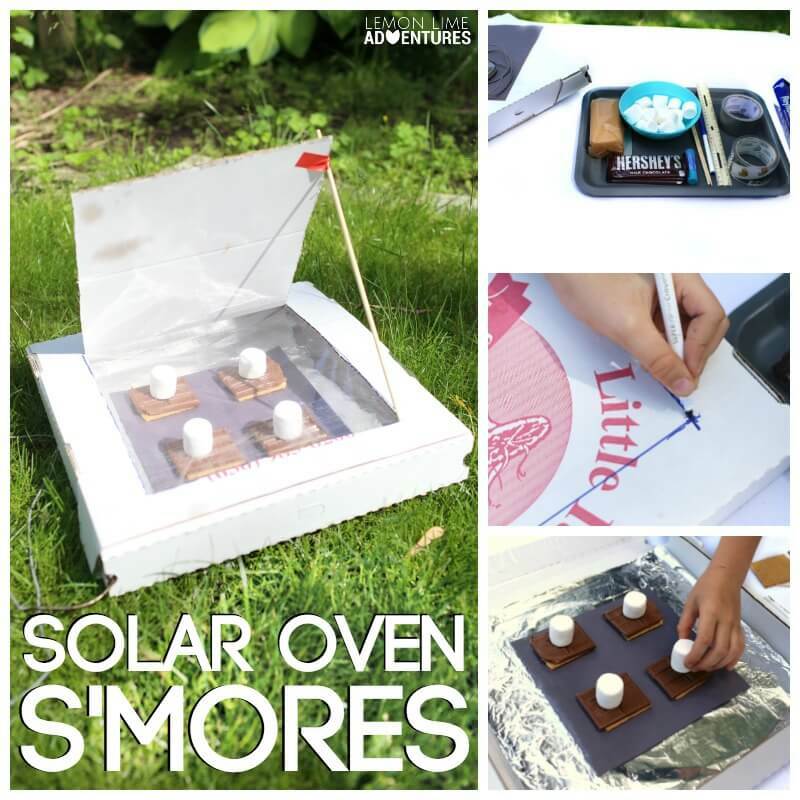 Solar Oven S’Mores | Build a Solar Oven to cook your s’mores this summer. I know how much my kids love s’mores and they love them even more from a creation they engineered themselves. Sprinkler Science | How cool is this simple sprinkler? Its such a perfect outdoor summer engineering project for kids. 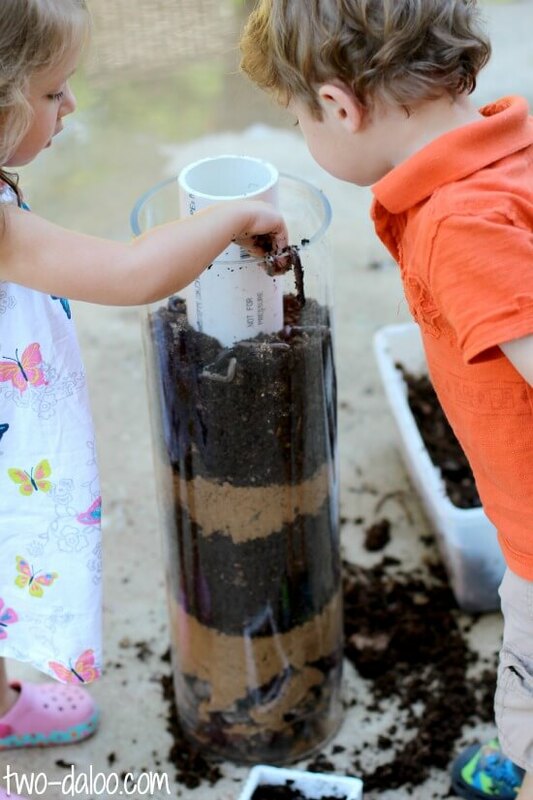 Don’t tell them what it does and let the fun begin with outdoor science fun. 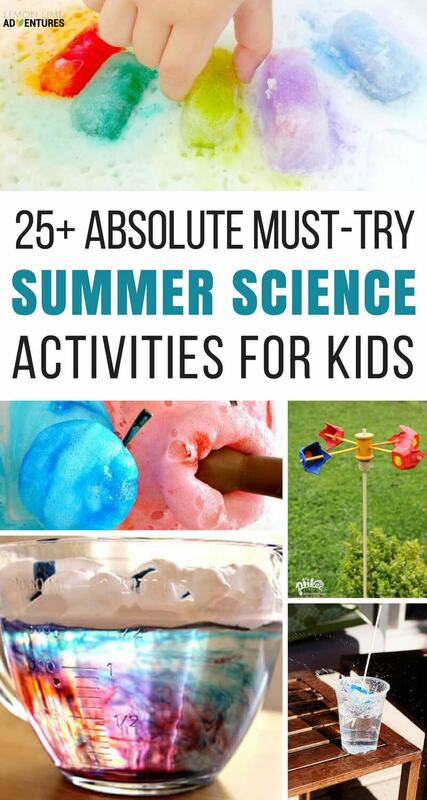 Wth these must-try summer science activites you’ll be able to keep your kiddos busy all summer long. 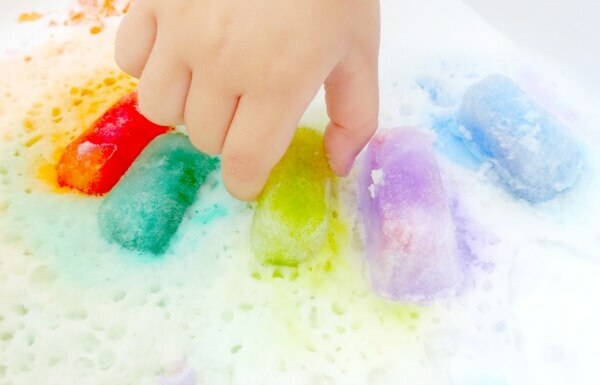 When the weather gets hot and the kids get whiny, be sure to pull out one of these super simple experiments and you’re pretty much guaranteed a meltdown-free afternoon! 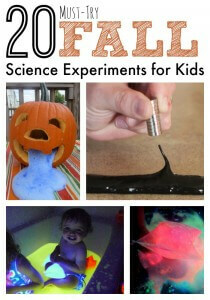 And Don’t Forget to Check Out The Other Must Try Science Experiments! I’ve been wanting to try that sticky ice one! Me too, We have a long list of ice experiments we can’t wait to try! My favorite is the TickleMe Plant Greenhouse In it you can grow the only house plant that moves and closes its leaves when you Tickle it! I also have an iPhone, iPodTouch app, http://kidscienceapp.com that’s full of fun ideas for science using what you have on hand. My first book, Kitchen Science Lab for Kids, will be out in August and is available for pre-order at all the major online book retailers! Thanks for sharing one of my experiments! FYI, I’m in no way affiliated with the film canister seller. I found them when I was looking for a place to buy them for people who don’t have a film store nearby. 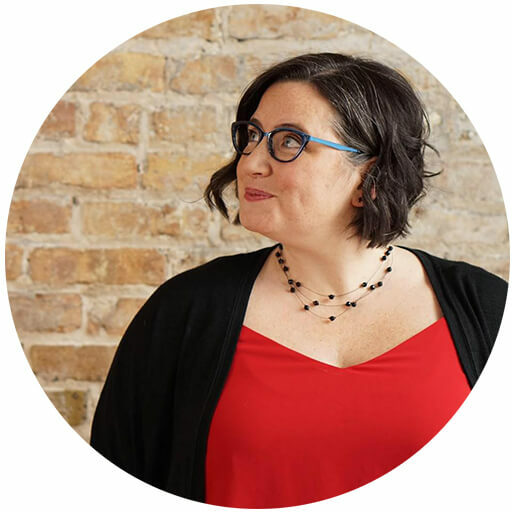 Of course, you have some pretty awesome resources! 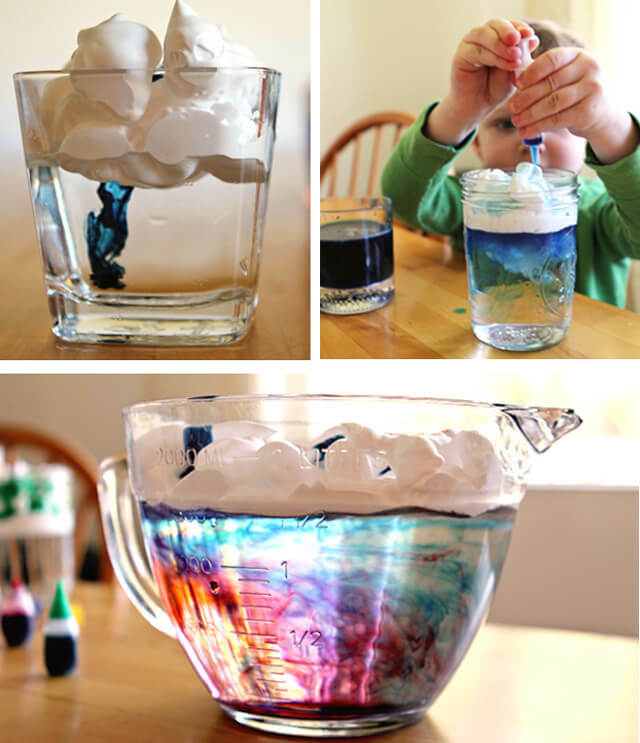 Wonderful idea for science projects for kids. Thank you on this post. So many great ideas here! When I worked in schools, our students cooked s’mores and I’ve always wanted to try it at home. Thanks for reminding me!! So many fun ideas to try! We just did the Mentos and cola one, and it was a huge hit. I think we need to try the Pop Rocks one next! 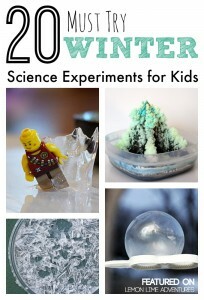 Thanks for your wonderful ideas about projects with ice and fizz to teach kids about science. I wish my kids could think learning about this subject was fun in school too. 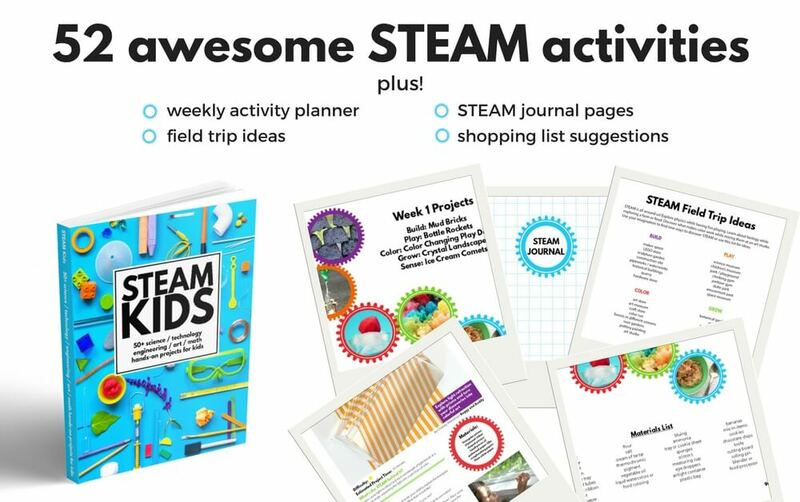 My husband and I are looking into elementary school STEM assemblies for him so that he can start to love learning about science.